We are very excited to be releasing Jordy Kerwick’s FIRST EVER limited edition prints. 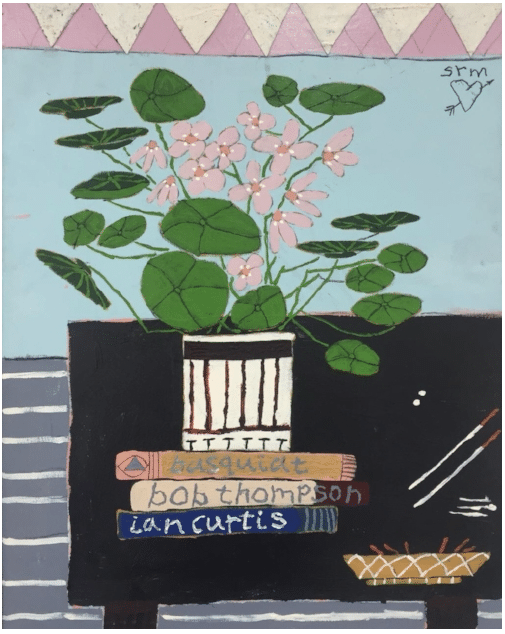 We have two available, printed from two of the most popular paintings in his debut UK solo show Diary Of An Introvert with us in December 2018. 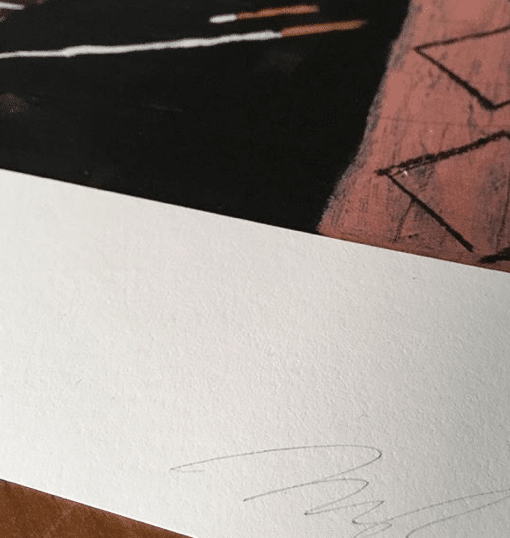 Both are hand-signed and stamped editions of 15. Limited edition print run edition of 15. 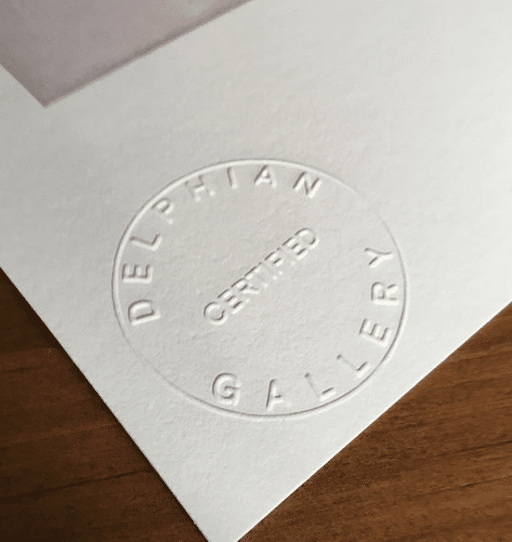 Stamped with an embossed Delphian Gallery seal to prove authenticity. Size – 50 x 70 cm including a small white border for easy framing. 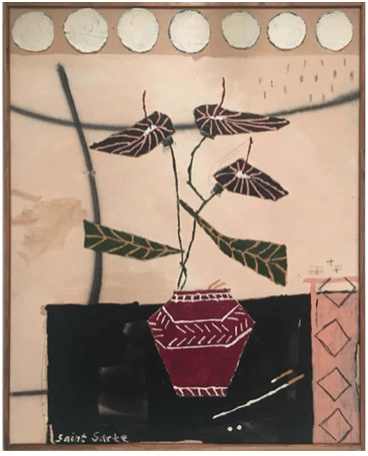 Kerwick’s still lifes are the perfect foil to the quixotic ideals of the artist. 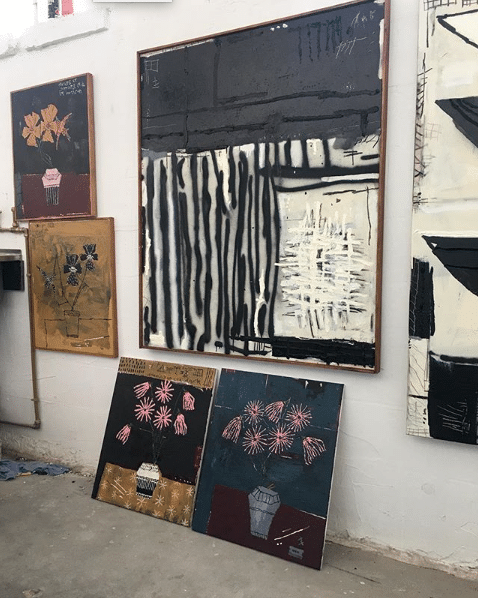 He only started painting in 2015, but has risen in truly meteoric fashion having already exhibited as far and wide as New York and San Francisco in the United States, and Paris, Cologne and Hamburg in Europe despite working from Melbourne, Australia. We finally caught up with Kerwick’s first solo UK show, Diary of an Introvert, in South London. I was accompanied, charitably, by Aistè, who generously made time for me having just released a new single, ‘My Only Friend’. Our destination was Delphian Gallery: the itinerant art space founded by Nick Thompson and Benjamin Murphy. Their brisk existence requires that one show’s success entails the next show’s very premises. (They needn’t worry, Kerwick has done exceptionally well with only a couple of paintings remaining for sale.) So we went to Delphian Gallery’s temporary venue at the AMP Gallery’s space in uber-cool Peckham. Kerwick’s paintings seem to prevaricate on the ‘artist’ as a figment of our imaginations. (They’re usually stereotyped as philosophy-thinking, chain-smoking, wine-drinking, beret-wearing Frenchies—according to my school’s careers advisor at least.) Of course, they’re not. You’ll struggle to find persons more professional and committed than artists, but bad reputations die hard. Kerwick isn’t scared of utilising these tropes, but makes for some fine self-exposition amid his own painterly equivocation. For by engaging in these tropes, the artist reflexively reveals himself. We’re accustomed to thinking of painters as cool: rebellious, penniless, alcoholic, perhaps sensitive, but always creative. It’s supposed to come at some cost: they die too soon, are melancholic if not downright mad. (Of course, the truth is rather more boring. But we’re dealing with the popular ‘image’ of the artist.) Kerwick plays up to this by daubing ‘la paix et la tranquillité et le pressentiment’ on the side of Diary of an Introvert 4 (2018). Nowhere is Kerwick’s self-deprecating character more visibly at work than in Diary of an Introvert 2 (2018) where the works of Voltaire and Trotsky and Gertrude Stein are crowned by ‘Miniature Schnauzers’ (very cool) and supported by the simple admission, ‘I can’t paint’. 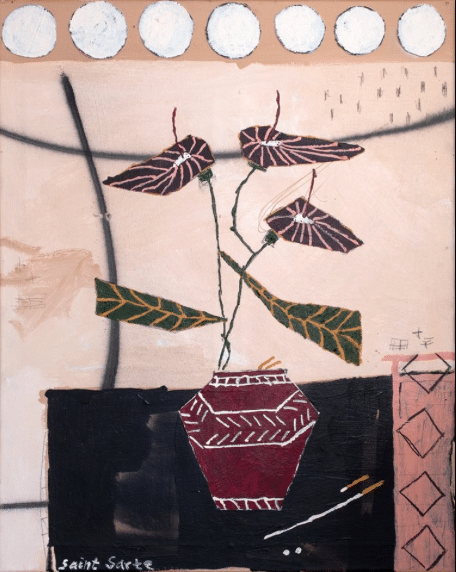 Aistè reckons he means, ‘I can’t paint…like Basquiat, like Thompson, or like Ensor.’ And yet, sometimes he does. You’ll often come across a Basquiat-like mark, cypher or glyph. I finally think I’ve got an analogy for Kerwick: He’s more Sancho Panza than Don Quixote. In Miguel de Cervantes’ masterpiece (1605 & 1615) the eponymous character simply reads too many books about chivalrous heroes. So many, in fact, that he loses his mind. He takes these stories so literally that he endeavours to become a grand knight-errant in search of adventure. He’s followed by his ‘squire’ Sancho Panza who serves as the level-headed foil to the wild idealism of Don Quixote. 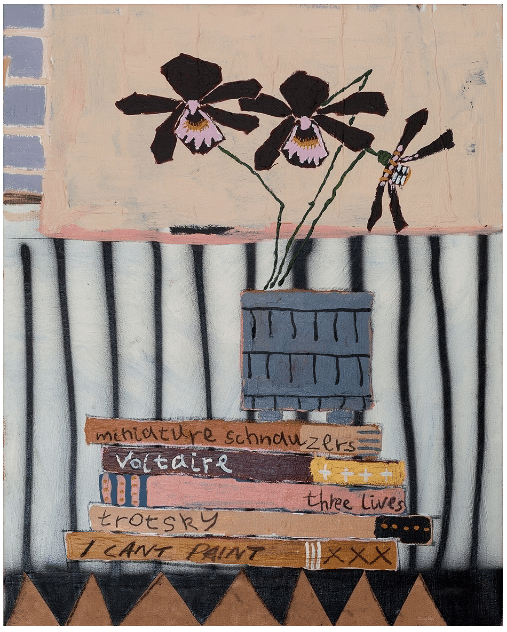 Kerwick’s paintings proffer Ensor, Thompson and Basquiat as so many Don Quixotes. (How many artists aspire to Basquiat?) But for Kerwick, as for Sancho, these are fictions, so many books, upon which he places his flowers and, with a forthright naïvety, simply paints. ‘It’s kind of sad,’ says Aistè. 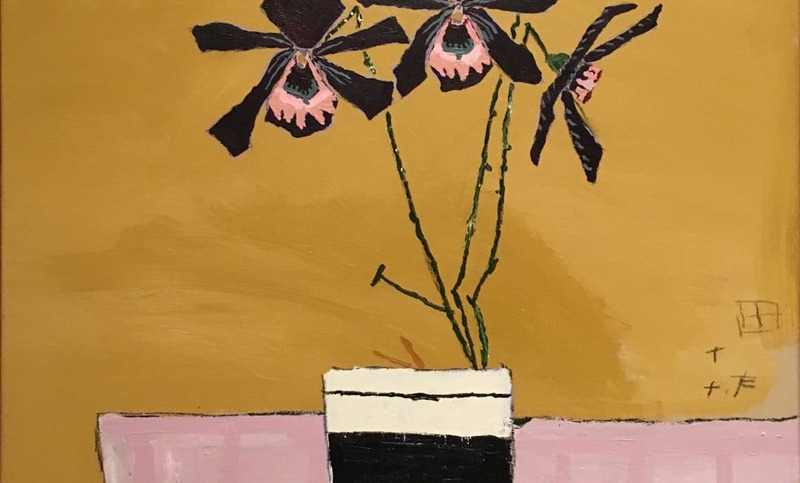 ‘I think he’d like to be just like those Expressionists and Fauves.’ I disagree, there is such derring-do in these paintings, just obliquely, perfectly referenced. For that, it’s 4/5 stars from me and 3/5 from Aistè (although she admits that maybe that’s just because she doesn’t like Nick Cave and Patti Smith). We are very excited to be hosting the debut UK solo show of Australian painter Jordy Kerwick. Diary Of An Introvert opens in London on December 6th. 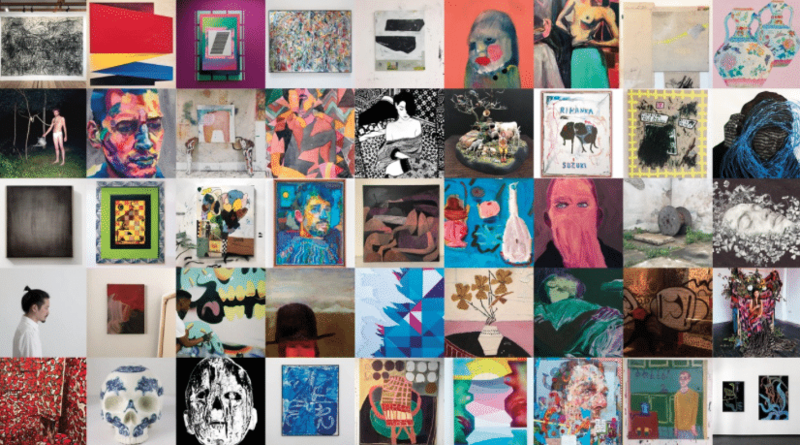 Find the full details for the show and rsvp for the private view HERE. Your career has really taken off, to what do you attribute your success? Good question Benny boy… I don’t know if it has taken off so to speak, but I could probably say that it’s off and running, which I’m extremely grateful for. I’ve been fortunate enough to have some outstanding people around me that have been kind enough to lend me some great advice and provide me with guidance along the way. 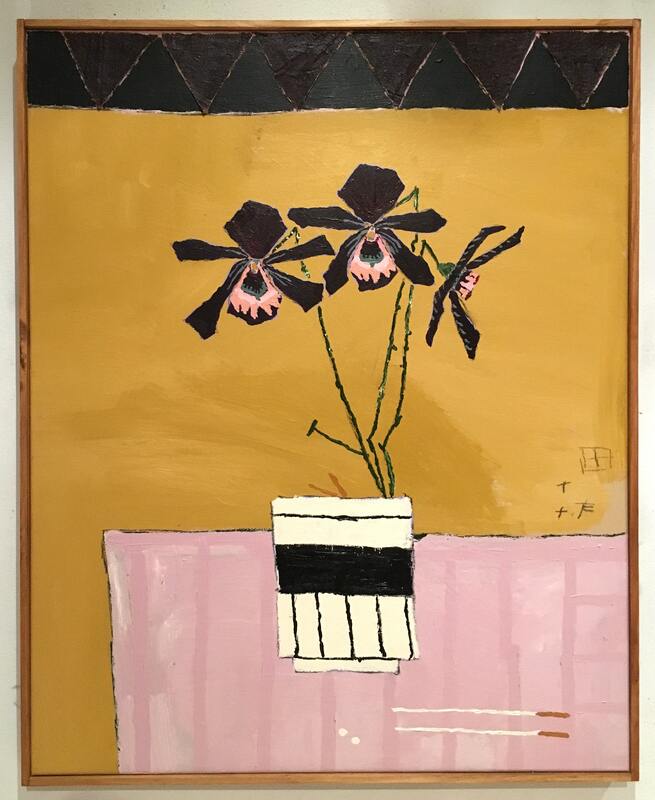 I also have a bit of an obsessive personality, so painting everyday is an absolute must, amongst reading about some of the greats (and looking up close when given the opportunity to – trying to dissect how they did what they did). Not to mention the galleries that have taken a chance with me (I owe a lot to Anna Zorina Gallery for this. Anna gave me the confidence to have a serious crack at a career in painting). So I think its a combination of application, guidance, and opportunity that have gotten me to where I am, albeit at the very beginning. What is your working ritual like? #coffeeforeight @ @pt.2gallery A few durry’s and flowers, no problems. What is it like having an artist for a wife, and do you ever collaborate or bounce ideas off each other? Its bloody good. That being said, Ive never had a wife that isn’t an artist, having been married once, so I guess its all I know. But in all seriousness, she is a far more talented artist (and person in general) than me, and whilst we both are extremely passionate about art, we have other things to talk about too. So as much as you think we’d discuss art, discussion re: works isn’t as prevalent as you might think it would be. We offer support and the occasional opinion about a problem one of us might be having, but thats about it. I would absolutely love to do a two person show with Rach. I actually think the contrast in styles in larger scale would play off each other quite well. If you could change one thing about the artworld what would it be? Thats a tough one. I still feel very privileged to be considered a part of the art world, but like anything in life, there is always room for improvement. I think discussions about female participation and opportunities is certainly being had now, which is the way it should be. I think more than half of my favourite painters are female, so seeing more of an equilibrium in shows would be outstanding for the art world. Do you think social media is a force for good in the art world? Coming from someone who owes a great deal to social media for assisting me to get where I am, I dont want to bite the hand that has fed me, so yes I do think it is a force for good. Of course you get the occasional fuckwit that likes to give you “feedback”, but that comes with the territory when putting your work out there. The only downer is constantly being reminded how many amazing artists there are out there and how incredible the standard of art is today. There are heaps more, so sorry if Ive offended anyone not included. But the above people jump out at me as people that continually produce brilliant work. We are proud to present ‘Diary of an Introvert’ by Jordy Kerwick (b. 1982). This will be Kerwick’s debut UK solo show. 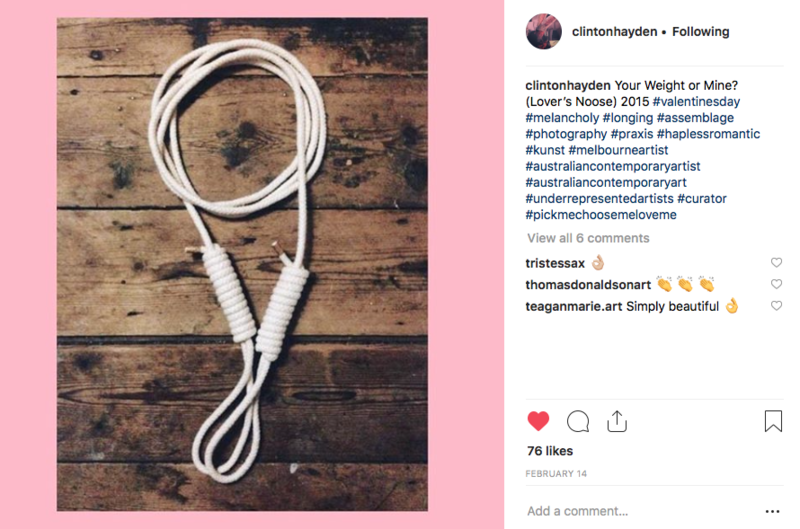 With a substantial Instagram following, he is part of a new generation of internationally renowned artists who attribute part of their success to connecting, sharing, and selling online. We will be showing Kerwick‘s latest body of work of original paintings, as well as releasing his first ever limited edition prints. Exhibition then runs 7th – 16th December. 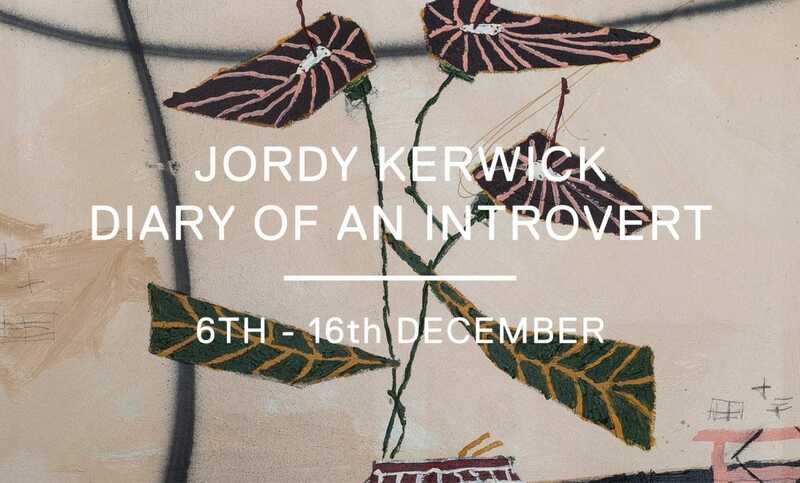 We are very excited to announce that we will be hosting Jordy Kerwick’s first ever UK solo show this December!